Cast: Matt Damon, David Strathairn, Joan Allen, Julia Stiles, Albert Finney, Paddy Considine, Scott Glenn, Edgar Ramirez. Story: Episode 3 in Robert Ludlum's CIA trilogy. If you've seen the others, you'll be looking forward to this. And it doesn't disappoint. The Bourne Identity and Supremacy were rarities amongst action movies in that they were actually believable. Bourne outwitted his opponents using intelligence, guile and a lifetime of CIA training and, whenever something was left to chance, it invariably went wrong for either chaser or chasee. The final instalment in the trilogy wisely continues this trend, which makes the story so much more watchable. Suspension of disbelief is not necessary - it feels like you could do the same if you'd had his training. And it really helps when they're using locations that we're familiar with - so much so that we can even notice that they turn up at the north entrance of Waterloo station and tell us it's the south ... a quite unnecessary trivial mistake but it actually adds to the enjoyment being able to spot things like that! Matt Damon suits the lead role well - he doesn't look like a star, which is perfect here. 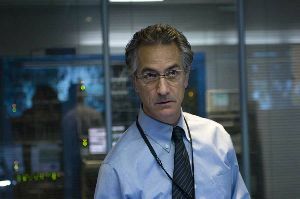 David Strathairn, from Good Night, and Good Luck gives the best support as the CIA director giving chase, and as usual the obligatory car chase is satisfyingly meaty, even if some of the damage does miraculously disappear in true fire-the-continuity-guy style. Albert Finney's delivery is a little incongruous, but fortunately that's the worst thing I can find to say about it. The action rarely pauses and it's all gripping stuff, the story is resolved nicely and even the end credit music is pleasingly appropriate. Top marks to British director Paul Greengrass (he also directed Supremacy but not Identity), whose last outing in United 93 was similarly gritty and watchable. We have a new star director on the scene. The Bourne Ultimatum is the closing episode we were all hoping for. You can watch it on its own, but it'll make more sense if you've seen the first two - and if you have, you won't want to miss this one. A candidate for best film of the year. To enjoy this film you should: sit at least half-way back in the cinema - the handheld camera movement can make you feel a bit dicky if you're too close. 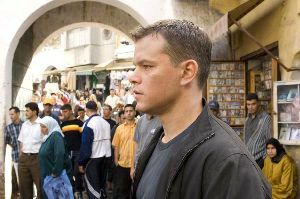 The Bourne Ultimatum was released in the UK on 17th August 2007.